DARMSTADT - Schenck Process MoveMaster® Chain Conveyors and Bucket Elevators are well known in the material handling industry for smooth, gentle and economic conveying. MoveMaster® Chain Conveyor systems utilize the ‘En-Masse’ principle, whereby bulk materials move across a pipeline through a dust tight steel casing, gently in a solid, placid column – without dragging or scrapping. This smooth method of conveying avoids internal disturbance and prevents pressure being placed on the material. 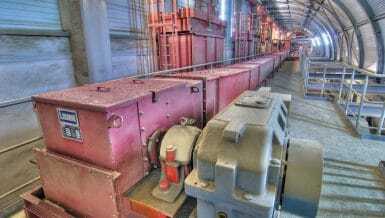 It also allows for discharge at any opening where the load is permitted to fall away from the flights. The systems can be flexibly designed horizontally, on an inclined plane, vertically and around bends. Using multiple inlets and outlets, they can also be designed ‘two-way’, to convey in both directions. Not only does the Schenck Process MoveMaster® Chain Conveyor incorporate the ‘En-Masse’ functionality, its versatility also allows it to handle an extensive range of capacities, ranging from 10 to 2,000 tons per hour. 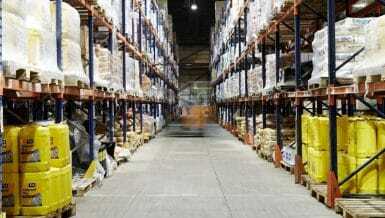 They are manufactured in sizes from 200mm wide upwards, enabling them to meet every requirement. To ensure absolute quality control, the chains are made from high tensile alloy steel forgings and for maximum strength and service life, the chain links are heat-treated, while the flights are precision welded to them. The chain conveyor also features inspection doors that ease access and improve installation speed, as well as tail access that allows for easy, timesaving maintenance. With efficiency in-mind, the systems benefit from being cost effective and simple to operate, while proving very competitive on capital costs, compared with other solutions. 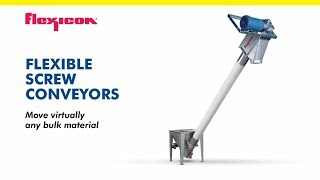 Often used in combination with the conveyor, the Schenck Process MoveMaster® Bucket Elevator offers both belt and chain bucket functionality for light and heavy-duty industry applications. The steel buckets are designed to give maximum throughput while still maintaining the perfect fill and discharge characteristics. All Schenck Process Bucket Elevators are manufactured with heavy duty steel to withstand harsh environments and the elevator chains are again heat-treated and hardened to resist wear when used with abrasive products. Materials handled by the MoveMaster® Chain Conveyor and Bucket Elevator include foods such as wheat, rice, malt, and many other dry bulk solids.